Choose the best cold air intake for your car, truck or SUV. Having options is usually a good thing, especially in the world of aftermarket parts and accessories. It’s nice having options when it comes to style, price and functionality. But, sometimes too many options can seem overwhelming. For instance, in the world of cold air intakes, there are several styles and brands to pick from, each one promising the most horsepower and torque gains. So, when it comes to choosing the best air intakes, let’s take a look at what each brand really has to offer. While there are several manufacturers who have broken into the cold air intake market, not all intakes are created equal. In order to get the most performance and efficiency gains for your vehicle, you want to pick from the brand names you can trust, like K&N, Volant, AEM, Airaid, Spectre, Volant and Injen. But, before you decide which is the best intake brand, you need to consider exactly what you want to get out of your new cold air intake. K&N is the most well-known brand on the cold air intake market. Custom crafted for your specific vehicle, a K&N cold air intake boosts passing power, pulling torque, throttle response and MPGs. And, it’s powered by the famous K&N Filtercharger reusable cotton-gauze air filter. Plus, K&N crafts cold air intakes that are emissions-legal in all 50 states. What's the Best Brand of Cold Air Intake? 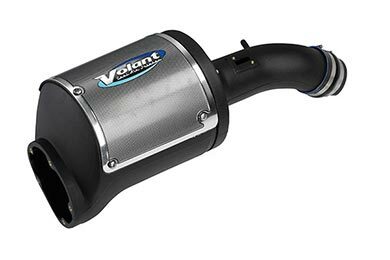 If you want a cold air intake that uses cutting-edge technology, look no further than the Volant cold air intake. Volant was the first to develop sealed air boxes, the first to use X-link polyethylene, and the first to add air scoops to truck and SUV air intake systems. AEM has more than 25 years of experience enhancing the performance of the fastest vehicles at racetracks across the country. In fact, these days, the AEM Cold Air Intake and the AEM V2 Cold Air Intake are regarded as some of the most powerful cold air intakes on the market. Plus, AEM cold air intakes are made in the USA. Spectre doesn’t mess around when it comes to crafting top-notch cold air intake systems. Sturdy construction, custom designs and dyno testing go into each Spectre cold air intake. And, Spectre intakes provide everything you need for a quick transformation and huge power increases. Before you decide which intake is the best for you and your vehicle, you need to look at the cold air intake reviews on our website. 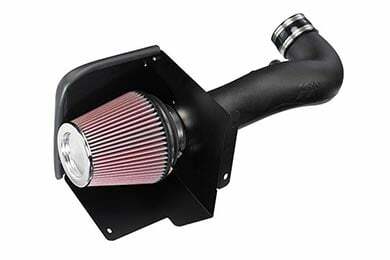 From the K&N cold air intake to the Airaid intake, we have the information you need on any intake system. Reference # 759-602-099 © 2000-2019 AutoAnything, Inc.